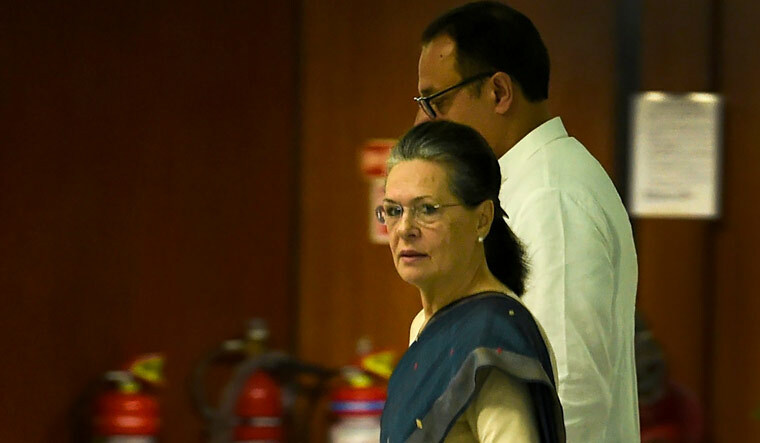 Prime Minister Narendra Modi's rhetoric shows his "desperation" reflecting that the "reverse countdown" of the Modi government has begun, United Progressive Alliance (UPA) Chairperson Sonia Gandhi said on Sunday. Attending a meeting of the new Congress Working Committee (CWC), the party's highest decision-making body, she also cautioned about the reign of despair and fear heaped upon the country's poor. "Sonia Gandhi cautions about the reign of despair and fear heaped upon India's deprived and poor. Points out that rhetoric of Modi shows his desperation reflecting that reverse countdown of Modi government has begun," Congress chief spokesperson Randeep Singh Surjewala tweeted. The meeting was also attended by former Prime Minister Manmohan Singh, who rejected the culture of constant self praise and 'jumlas' of the Prime Minister. This, Manmohan Singh said, stood against solid policy framework necessary for growth. Manmohan Singh pointed out that claim of doubling farm income by 2022 would require an agricultural growth rate of 14 per cent, which was nowhere in sight. Sonia Gandhi and Manmohan Singh are the senior members of the new CWC that will form the core team of the party for the state elections this year and the 2019 Lok Sabha polls.